Jack Roush and Roger Penske, along with two other prominent Ford drivers from NASCAR history, have been inducted into the NASCAR Hall of Fame. Roush, the owner and operator of Roush Fenway Racing, took his rightful spot in the NASCAR Hall of Fame following an induction ceremony last week. 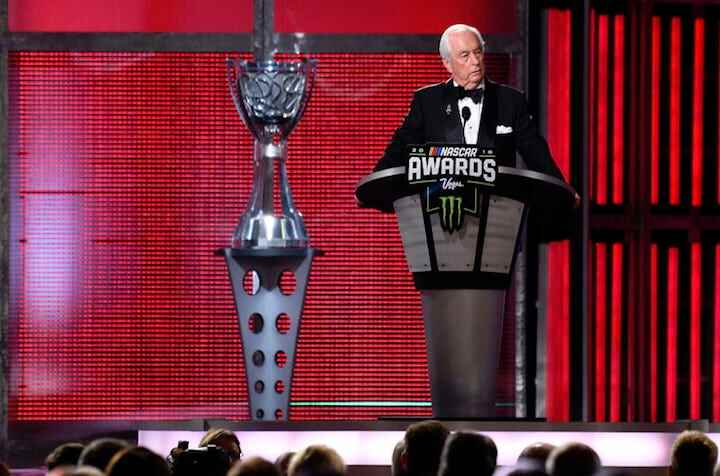 Fellow team owner Roger Penske was also inducted into the Hall of Fame during the ceremony, along with former Ford drivers Alan Kulwicki and Davey Allison, who were killed in two separate aviation accidents in 1993. Roush started up a racing engineering company in the early 1970s and initially focused on developing and selling parts for drag racing cars before entering road racing with German firm Zakspeed in the early 1980s. He expanded his efforts into NASCAR in 1988 and hired Mark Martin as his first driver, who once described Roush as “a highly-driven, engineer-minded, drag and road racer from way up north who wore this full-brimmed hat and used more words than most of us know.” Roush Fenway Racing has won 322 races in NASCAR’s three national series, making Jack the winningest owner in NASCAR history, and two Cup championships. Roush is also a fierce supporter of the Detroit automotive industry and particularly Ford. Roger Penske is a motorsports icon to the car and has contributed massively to both General Motors’ and Ford’s racing programs. Penske driver Joey Logano won the 2018 Monster Energy NASCAR Cup Series season, giving Penske Racing its second NASCAR Cup Series championship. The team also has 109 Cup Series victories to its name, along with 65 Xfinity Series victories. Penske DJR Racing, the Australian Supercars Championship team that Penske owns a 51% stake in, also races Ford products in the popular series and won the 2017 team’s championship and 2018 driver’s championship. “He has a legacy that’s harder to define than most everyone else in the Hall of Fame because of his background – not just as a team owner, but his background in owning the tracks and his background of owning businesses that can help sponsor the sport,” current NASCAR Ford driver Brad Keselowski said of Penske.